The general market is well placed to serve the Covent Garden community; it offers a wide range of goods, plants to picnic hampers, greeting cards to souvenirs, beauty care and garden equipment. Here you can find anything you need! Arts & Crafts cover a wide range of skills. All of our creative traders bring a wide range of skills to the UK products that you can find at the market. With a wide range of units, you can find arts and crafts covering everything from candles and hand painted items through to jewellery, paintings, calligraphy, clocks and even fossils! The Jubilee Hall, which houses the market, was built in 1904 and gained Grade 2 listed status in 1980. The restoration of the building began in 1985, driven by the former CEO Ray Green. The market was officially opened by the Queen in 1987. 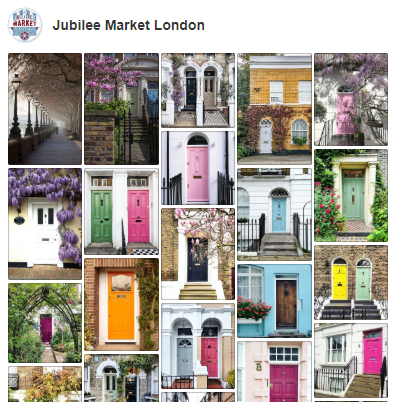 The Jubilee Market runs along Tavistock Street which itself was built in three sections and is named after the, then, landlord, the Duke of Bedford, Marquis of Tavistock. The Jubilee Market area is steeped in history with the novelist Thomas De Quincey lodging and writing here, goods used to be delivered on ponies direct from the docks to the loading bays which can still be seen, and the first mention of a Punch and Judy show in Britain was recorded, here, by diarist Samuel Pepys, who saw such a show in the square in May 1662. Nowadays, the market has a wide variety of eclectic arts and crafts stalls, from jewellery and clothing to antiques and general market items spread over three different markets during the week.